1. 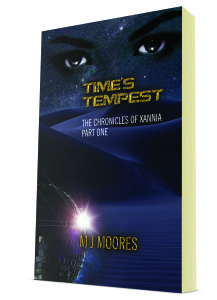 Can you tell us a bit about your newest release, Time’s Tempest, and how The Chronicles of Xannia are different, and similar, to the Lost Chapter series? First off, The Lost Chapters are a part of The Chronicles of Xannia. Effectively the Lost Chapters are a collection of short stories that take place before the action of the book Time’s Tempest. These lost chapters are stories that have been mentioned in passing that deal with a time in either Taya or Dezmind’s past that influence who they have become when we meet them in the main book. It’s not necessary to have read the Lost Chapters in order to understand Time’s Tempest, they are simply meant as added enjoyment to the tale.